By December 2012, Nike had raised $500 through the First Annual Glenelg Country Bazar, where she set up a display about her project and sold handmade jewelry from Nigeria, and a yard sale. As of November 2013, Nike has raised a total of $3,000 for the science lab at Oyan Grammar School. The money has been used to repair a leaking roof and ceiling, repaint walls, and replace windows and doors. Currently, laboratory counters, desks, and tables are being installed for the students. Next steps are to replace the old laboratory equipment and repair the sinks and pipelines. Nike’s ultimate plan is to completely refurbish the chemistry lab at the Oyan Grammar School. 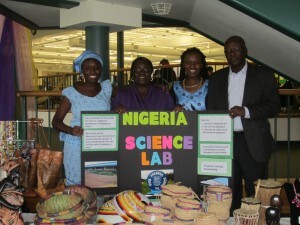 She will continue to work on the project with her sister, Toyin Awotunde, who is also a junior at Glenelg Country School. To complete her project goals, Nike estimates that she will need $5,000-$10,000. She plans to raise the money through craft sales (selling hand made goods from Nigeria), yard sales in her community, private donations, and the 2013 International Holiday Bazaar hosted at Glenelg Country School. If you would like to make a donation to Nike’s project, please contact FFC at ffc@futureofchildren.net or 202-364-2606. 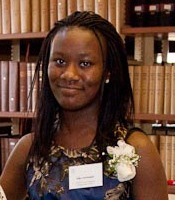 When she applied for her grant, Nike Awotunde was a sophomore at Glenelg Country School. She is now a senior. Both of her parents were born and raised in Nigeria, and Nike is first generation American. She loves math and science and she aspires to be a pediatrician when she grows up. Nike also loves to play sports, including field hockey at school. She likes to travel and explore different cultures and people. One of her interests is learning different languages like Spanish, Twi, and her native language, Yoruba. Nike is also into music and has played the violin for 6 years. One of her goals in life is to make an impact on other people’s lives. Mary, Yocheved, and Khadija all exemplify strength and compassion through their life long work of service. Their service came from the burning desire to pursue and achieve a goal much greater than themselves and their immediate family. Through their work they created the heart of the three Abrahamic faiths which is to save and give hope to those who are in need. Mary, Yocheved and Khadija all had a powerful influence on society. 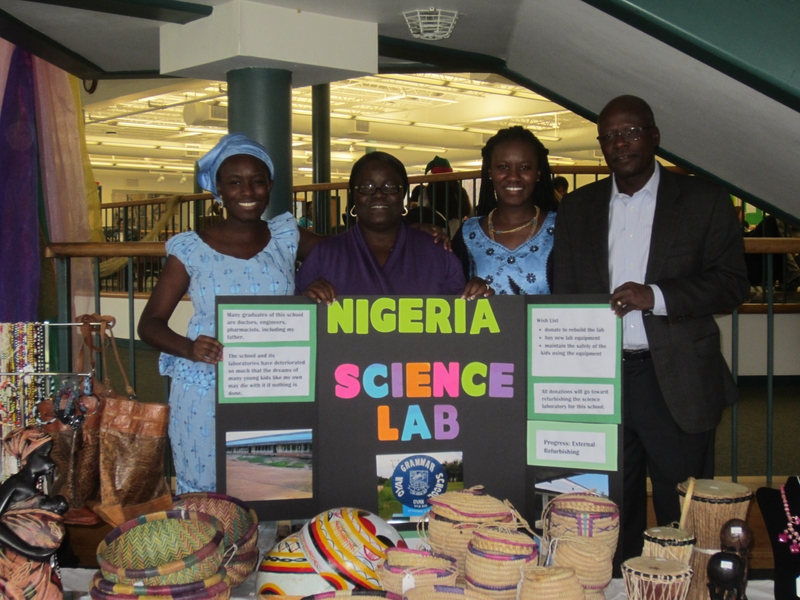 My project will help support a science lab at the Oyan Grammar School in Nigeria. I have learned that whenever presented with the opportunity one should step out of their comfort zone and help as much as they possibly can. It’s important to help because you don’t know how great of an impact you have on another person. Service is like a domino effect. You help someone, and soon that person would be encouraged to do the same for someone else. The effect goes on and on, and before you know it, the lives of all the people have changed for the better.